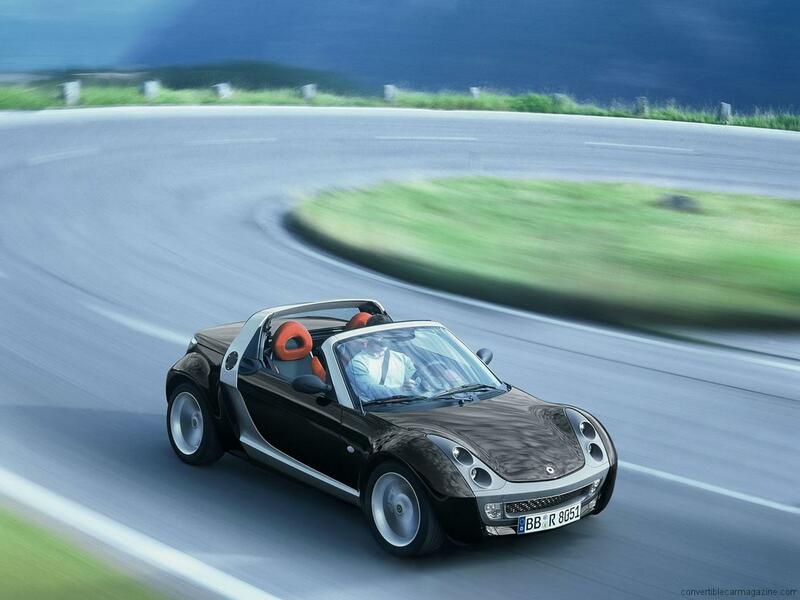 The standard Smart Roadster has an electrically folding fabric roof and a fixed roll bar with glass rear window. The 80 horsepower turbocharged three-cylinder engine, a welcome upgrade to the 60 hp unit fitted to early cars is light and responsive. With the engine mounted just in front of the rear wheels there is little space left for luggage although there is a second storage compartment at the front. 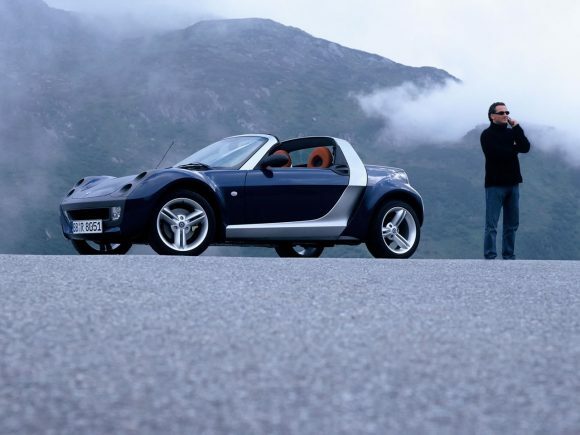 There were several limited edition versions of the Roadster as well as the Smart Roadster-Coupe with an alternative hatchback style rear end. 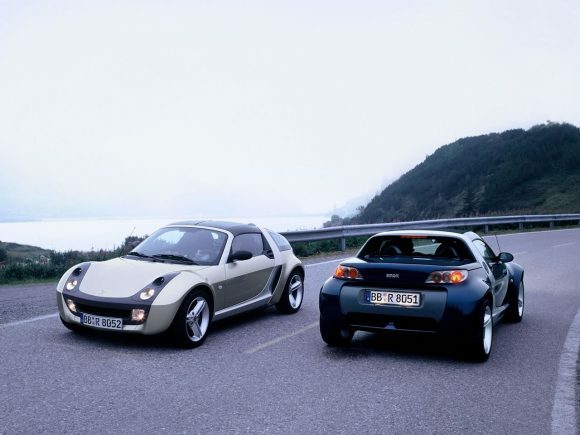 The Smart Roadster went to an early grave at the end of 2006, production of the car was stopped due to low sales figures and high numbers of warranty claims (usually water damage to the CPU) making the practicality of building this car unviable. It is something of a surprise because it’s a car which appears to push all the right buttons. Priced well and cheap to run the Smart is a back-to-basics convertible that is easy to live with. It is not fast on paper but is a hoot to drive due to its light weight, good balance and low centre of gravity. It has cute looks but is still sporty enough to appeal to male drivers. 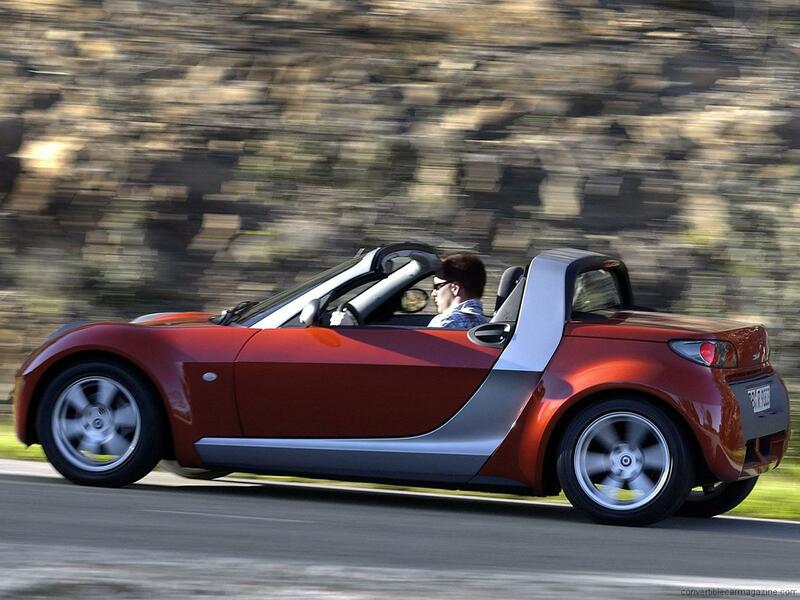 The Smart Roadster is also a lot cheaper than just about any other car providing this much fun. Finally, it has a small and efficient engine which keeps running costs low and is more kindly to the environment than most. We were sad to see it go Despite its reputation for leaks. Brabus is better known for making monstrously powerful versions of Mercedes road cars however their tuned Smart cars have probably sold in greater numbers. 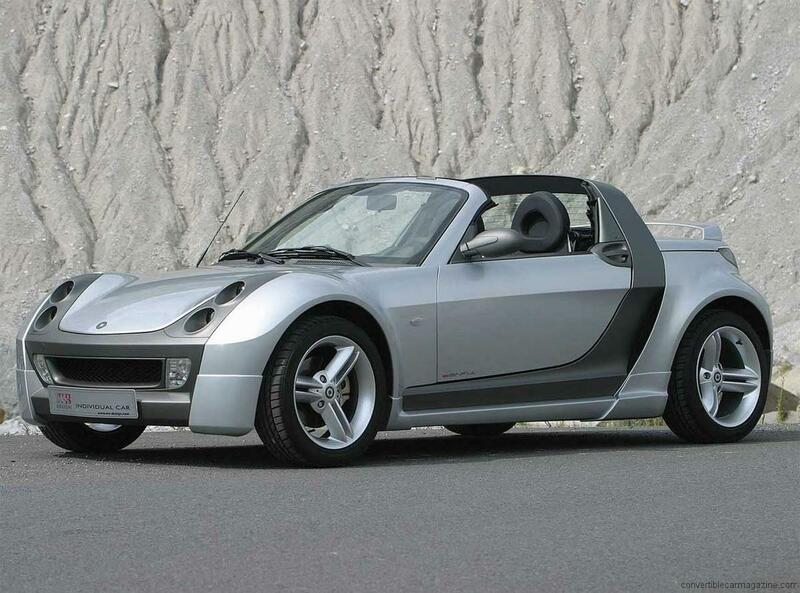 The Smart Roadster BRABUS uses engine tuning to boost the engine power considerably giving sprightly performance although what makes this car special is really the handling. 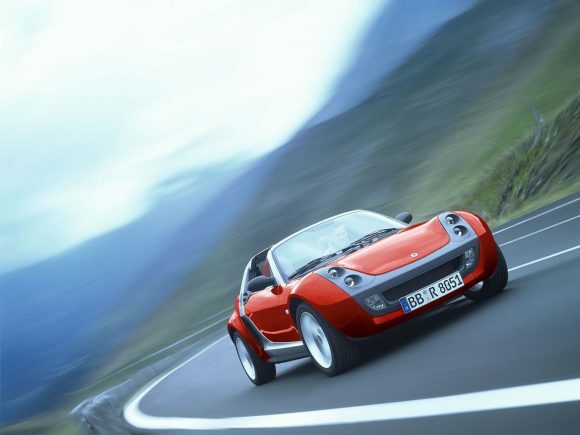 Sports suspension and a quicker acting gearbox make it feel like a go-kart to drive. Unlike other Brabus cars the tiny engine in the Smart Roadster BRABUS manages great fuel economy and there is a reasonable amount of luggage space for such a small car although not as good as the Smart Roadster Coupé. Inside the cabin is spacious for two with ample leg room and plenty of head room for most drivers. There are also heated leather seats, air conditioning and a leather trimmed dashboard as standard along with a host of other details. It still doesn't have that luxury car feel, in fact the driving experience is closer to that of a Lotus. Do you drive a Smart Roadster? Would you recommend it to others? Start the conversation and let us know what you think of the car.